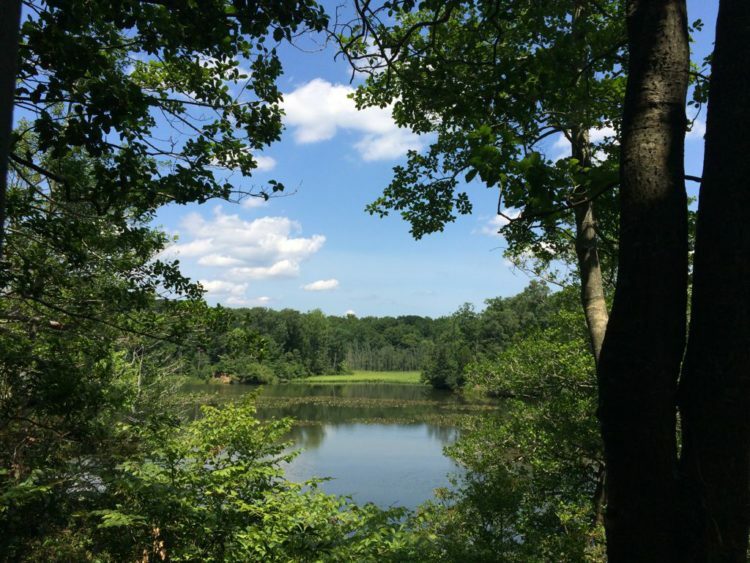 Beautiful weather makes us want to take a hike, but it also makes us want to chill. 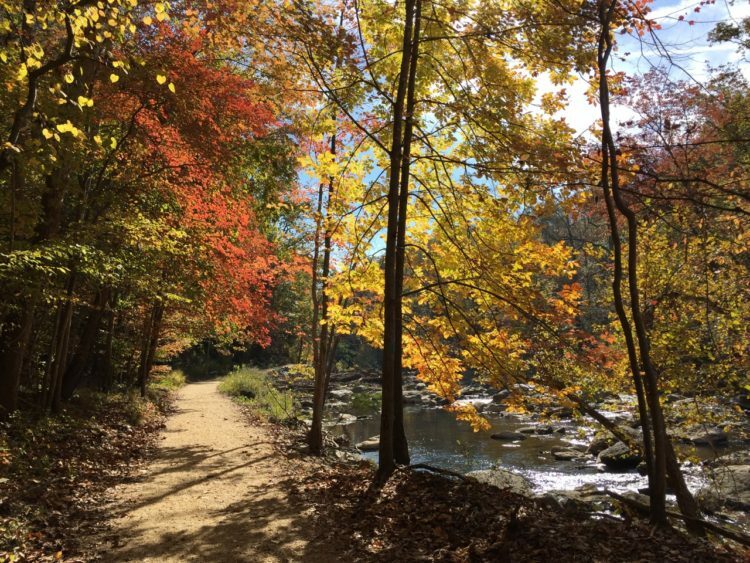 Here are 6 scenic places to relax and soak up nature’s beauty on a lovely day in Fairfax County, Virginia. 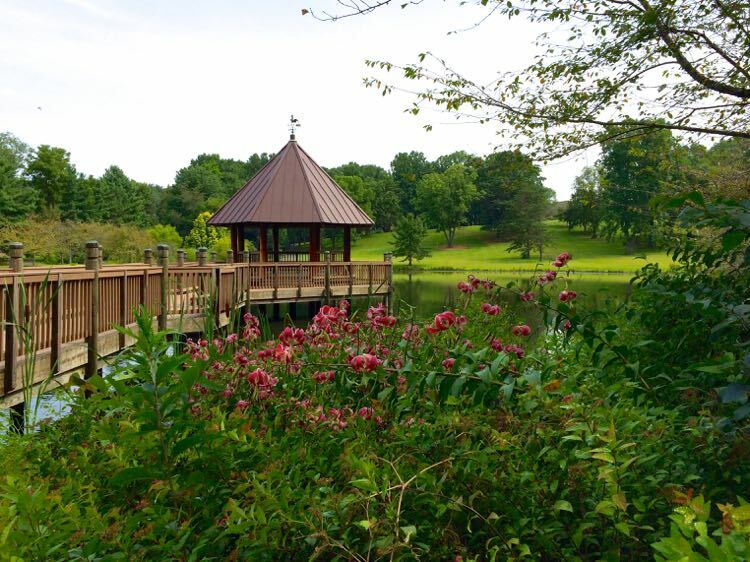 These places to relax are all less than an hour’s drive from Washington DC, perfect for a quick escape from the city. There are lots of places to sit and admire the flora at Meadowlark Botanical Gardens, but we’re partial to these chairs near tiny Lake Lina. They’re at the bottom of the hill, close to the gazebo. 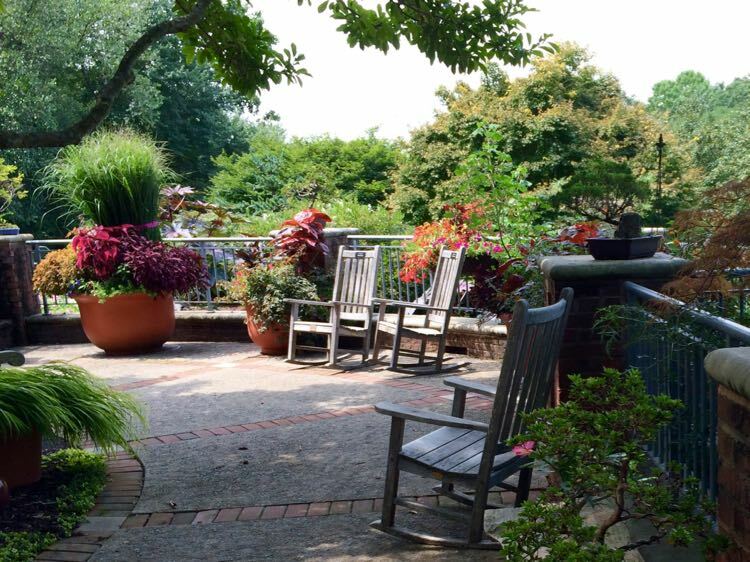 If you prefer a chair without the walk, head to the rockers just outside the Visitor Center. 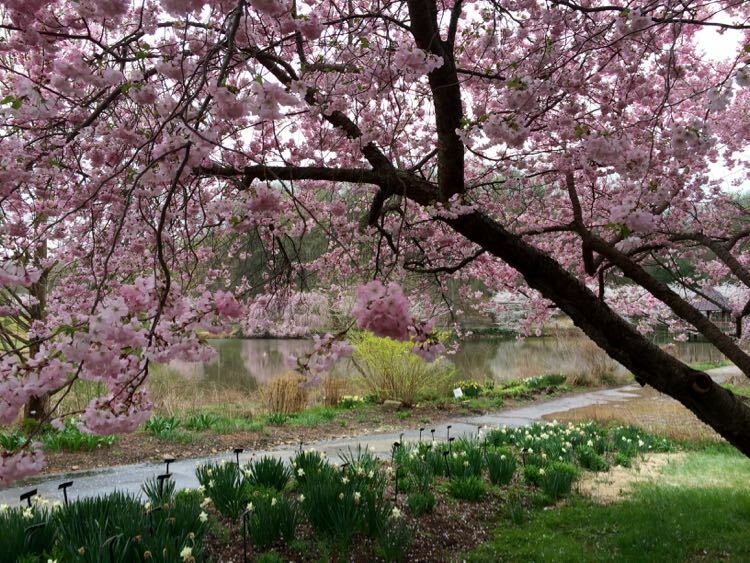 The park is especially beautiful when magnolias and cherry trees are blooming. 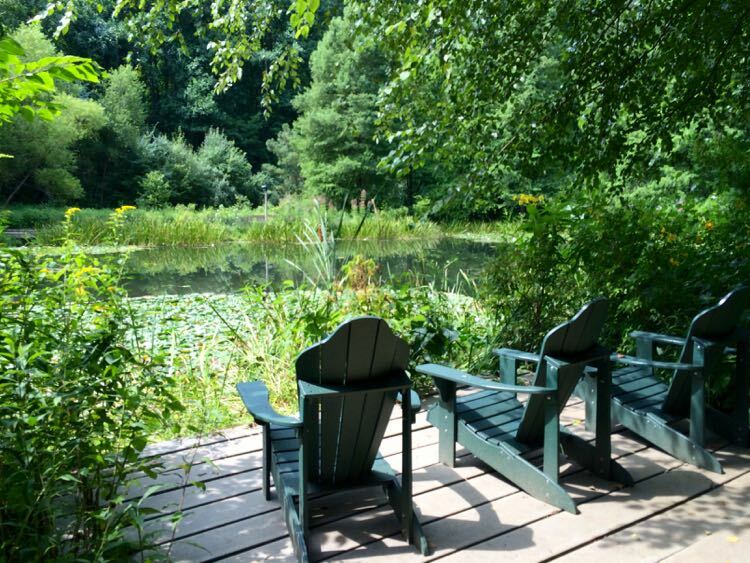 Continuing with the Adirondack chair theme, the expansive deck at Riverbend Regional Park all face a relaxing view of the Potomac River. 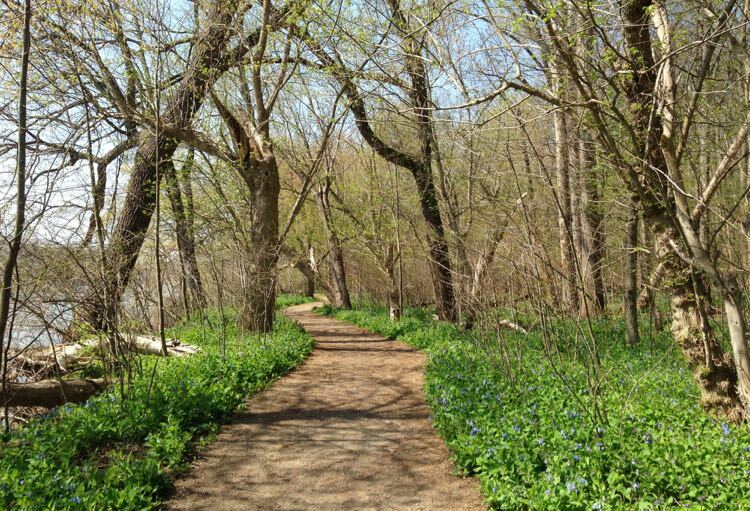 Stop by with a picnic or your morning coffee, then head out for a riverside hike on the beautiful Potomac Heritage Trail. 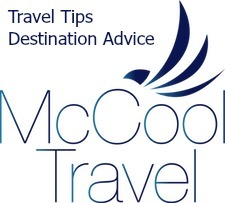 Want a little bit more activity with your sitting? 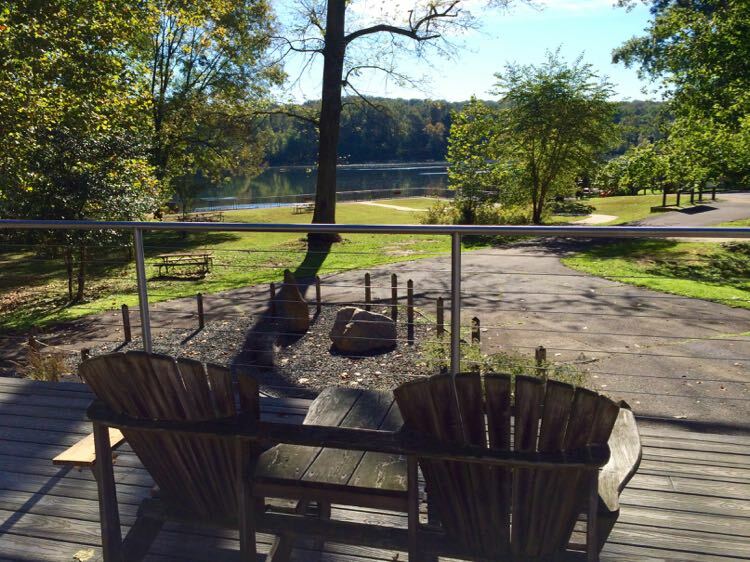 The marina at Burke Lake is open during the summer, and on weekends through October. 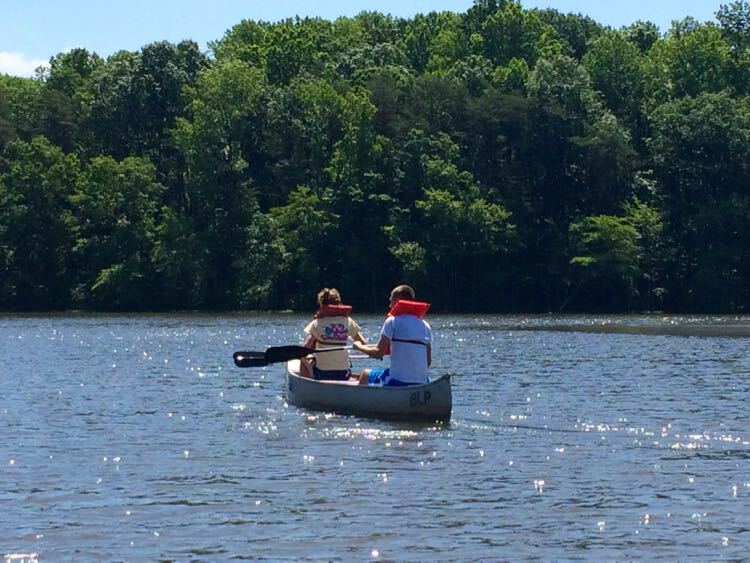 Rent a canoe or row boat and head out for some fall fishing or just to chill on the lake. The Department of Game and Inland Fisheries raves about the largemouth bass population at the lake. Willing to work a little harder for your view? 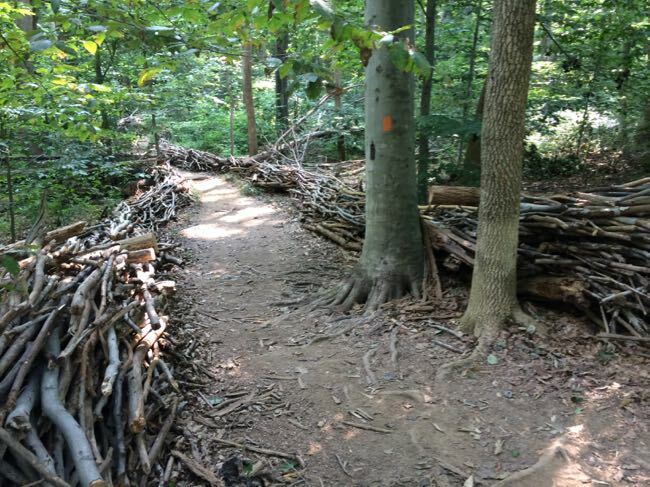 The 2-mile trail to Kane’s Creek at Mason Neck State Park ends in a bird blind overlooking the marsh. We sat here and watched bald eagles, blackbirds, and dragonflies in absolute peace. 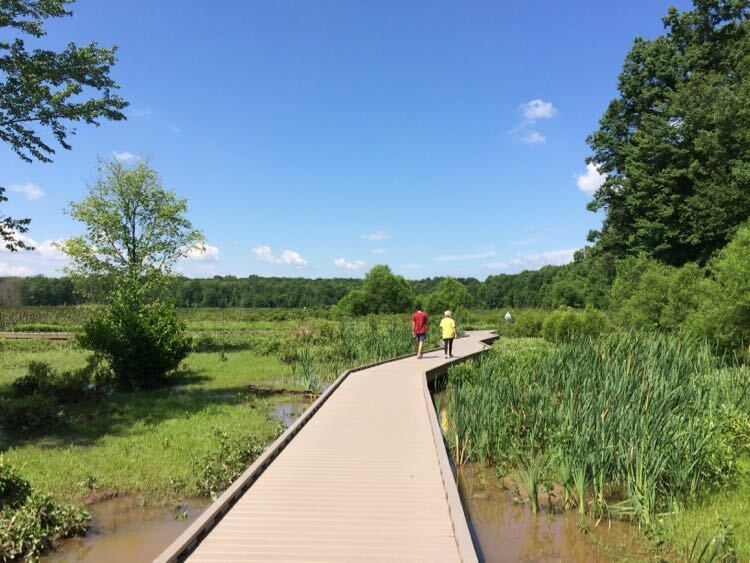 The quarter-mile Marsh View Trail ends in a platform with a similarly beautiful view. The Swing is one of the early art installations at Lake Anne in Reston. 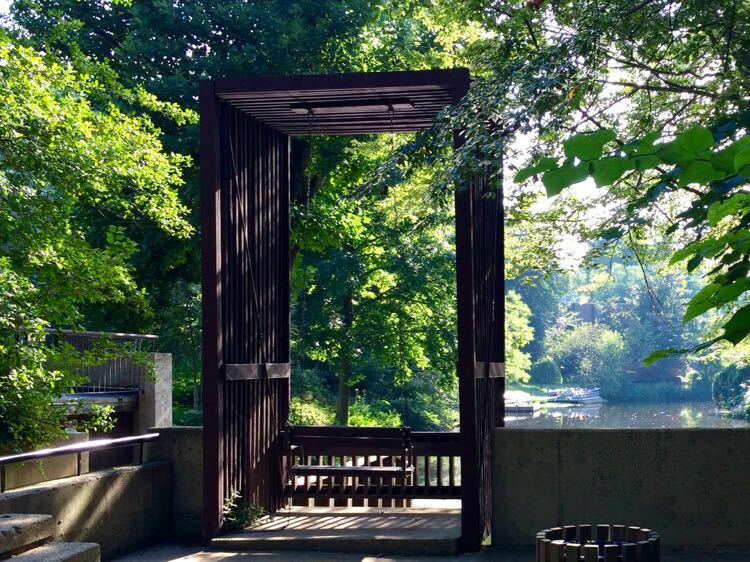 It’s not the best view of the lake, but it’s a cozy stop whether you’re exploring Hidden Art in Reston or just taking a break from the busy Farmer’s Market in the plaza. 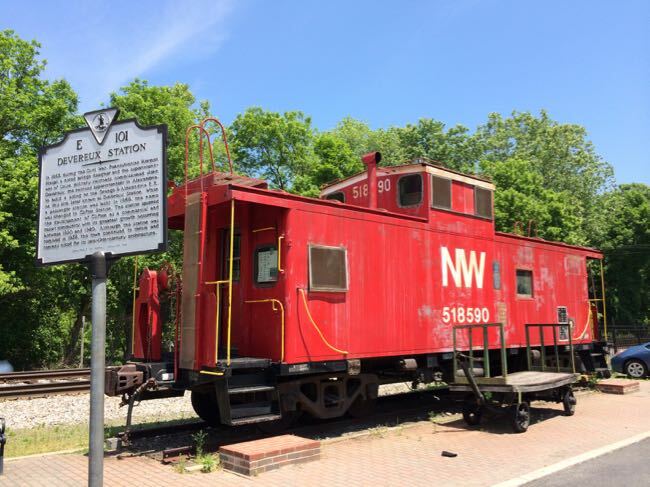 Our last choice is actually two options, because there are two wineries in Fairfax County and they both offer scenic places to relax with a glass of wine in hand. 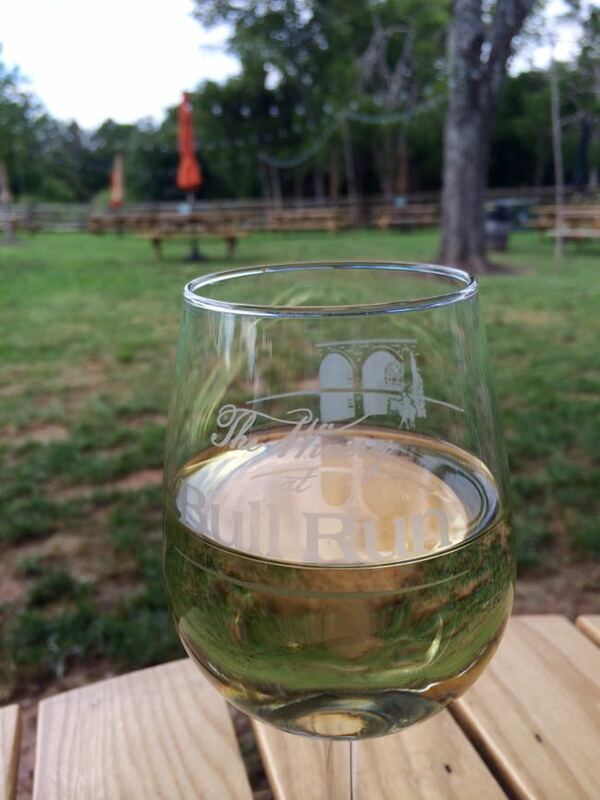 The Winery at Bull Run has two large outdoor areas full of picnic tables—one for adults only, and one where parents can relax while the kids run around and play. 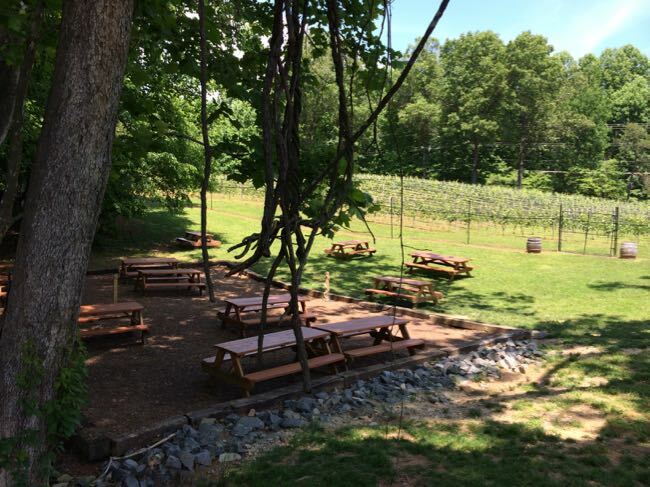 Paradise Springs Winery offers lots of open lawn space and an enclosed back patio where wine-drinkers can enjoy music even when the weather isn’t cooperating. 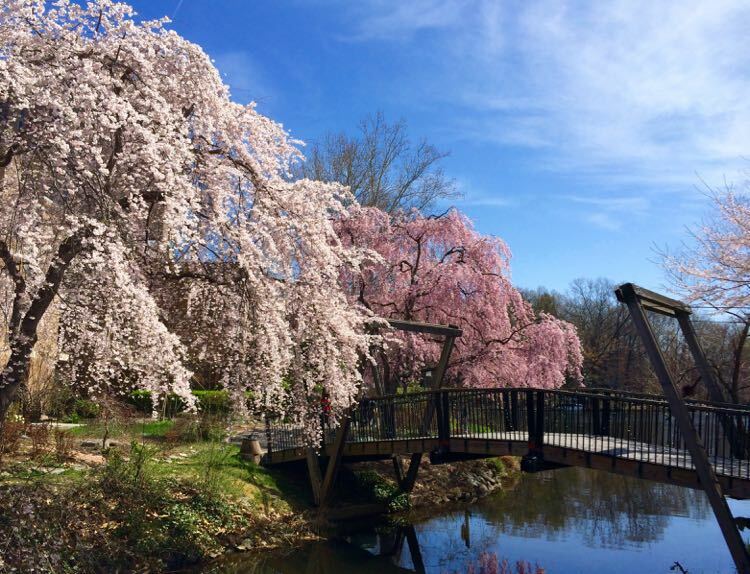 There you have it, six scenic places to relax—in a chair, or a canoe, or a picnic bench with a glass of wine—and enjoy beautiful weather in Fairfax County, Virginia. 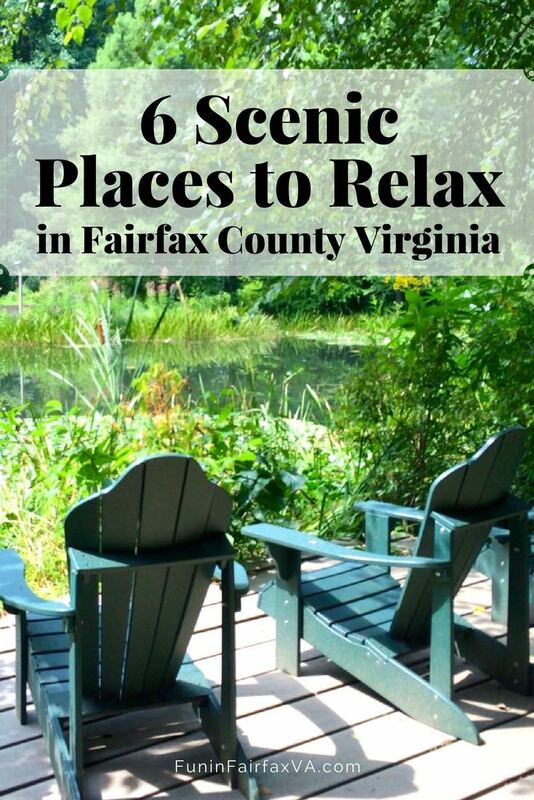 What’s your favorite spot to chill in Northern Virginia? Promise we won’t tell anyone. 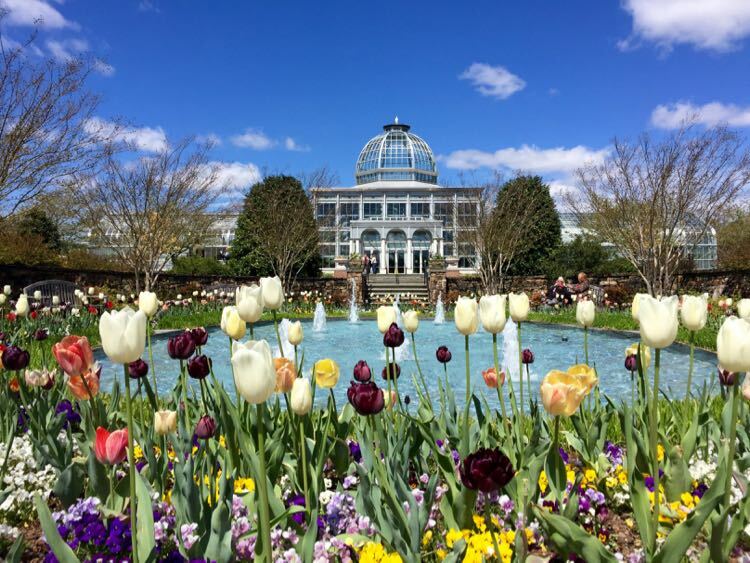 Follow Fun in Fairfax VA on Facebook, Twitter, Pinterest, and Instagram for more great places to visit and things to do in Virginia and the mid-Atlantic.